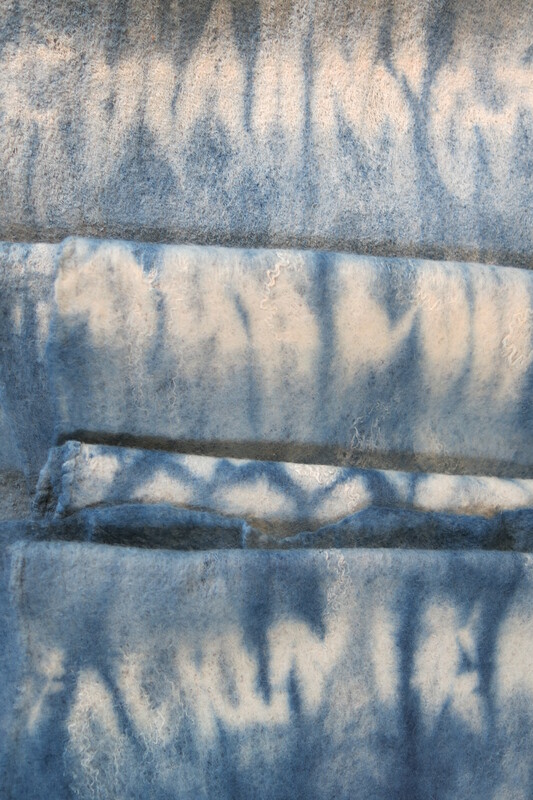 Countdown – to MADE Brighton! Just because I’ve been quiet on the blog front you might have thought that I have been quiet with work..but no…not in the slightest!! 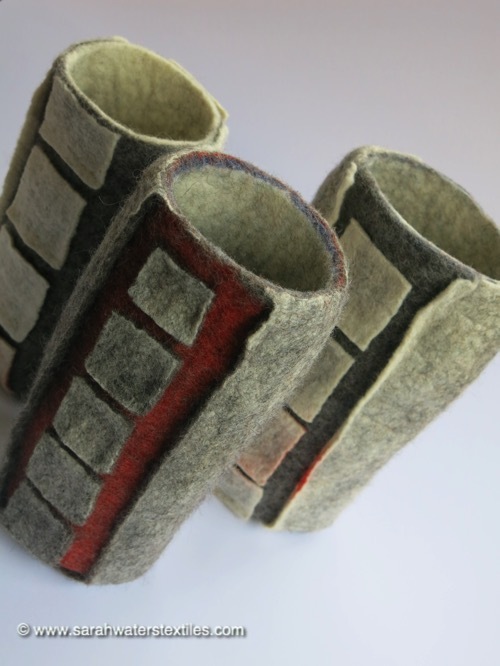 I have just finished some felt 3D work for the New Ashgate Gallery, in Farnham,Surrey, as part of their Contemporary textiles Exhibition that starts at the end of the month. 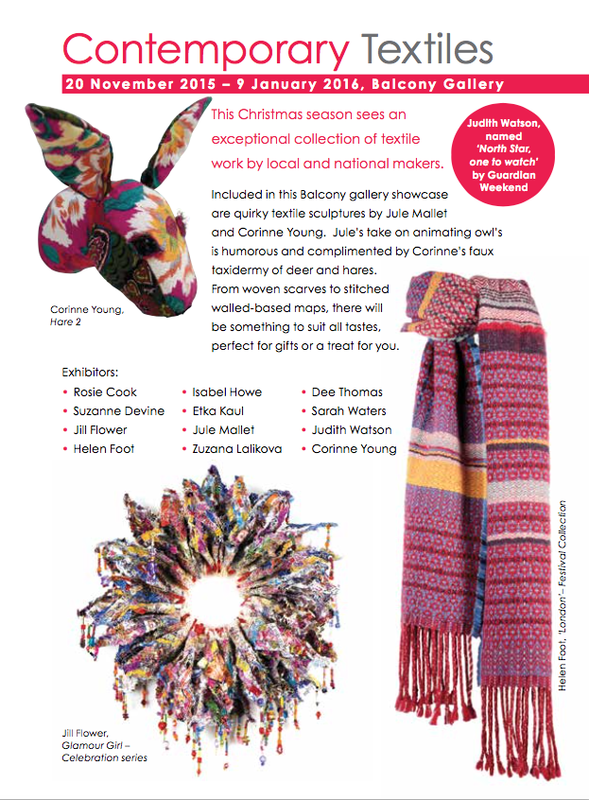 Do get along to the wonderful gallery and see what else they have on display. Now just as you think things might get quiet for me I am all of a panic and countdown to my next event…MADE Brighton next week. Having been selected earlier in the year to exhibit in this prestigious show, organised by Tutton and Young, I thought that I would have plenty of time to make work! Silly me….I forgot that I had exhibitions, magazine articles to write and lots of teaching in between!! So it’s now head down and lots of work till I leave for my B&B next Thursday. If you fancy coming along then why not take advantage of their 2for1 offer. To receive a 2 for the price of 1 ticket to this show, please complete the form here http://eepurl.com/nQBp9 with your name, postal address and offer code EXH before Monday 16 November and a voucher will be sent to you in the post to present at the door. 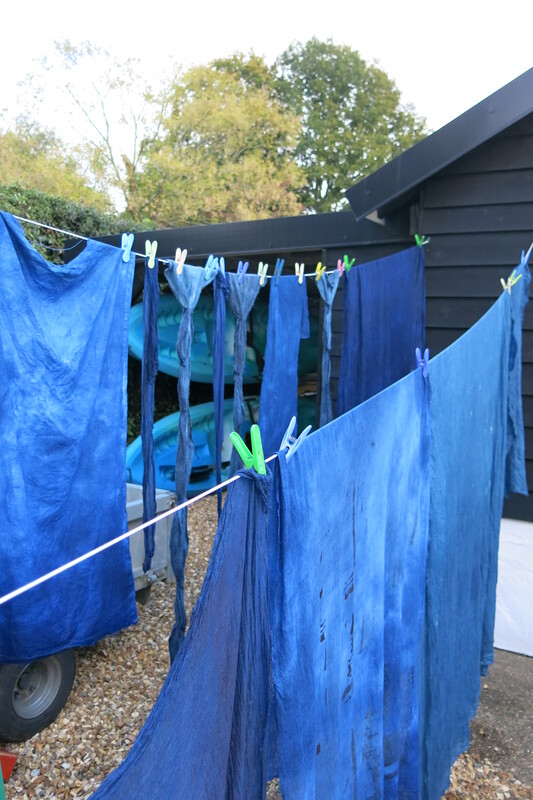 So it was down to some more indigo dyeing today and scarf making tomorrow…. Will keep you posted on how things go over the next week..but do come and see all the wonderful work at Brighton if you can ..I’m on Stand 80…and say ‘Hello’!